What is the Home Ready Loan Program and How Do I qualify for it? The Fannie Mae Home Ready program can be used to buy or refinance a house. Allowing co-borrower flexibility. All borrowers do not have to reside in the subject property. For example, parents, who will not be living in the home, can be co-borrowers on the loan to help their children qualify for a mortgage and purchase a home. Income limits may apply. At least one buyer must attend an online Homeownership course through Framework® that takes around 4 hours to complete when applying for a purchase transaction, no need to attend when qualifying for a refinance. Homebuyers that are qualified to buy a house utilizing the FHA home loan program may revisit their pre-approval status and explore the Home Ready loan program to compare the two programs side by side. The reason is the Home Ready is a 3% down payment versus FHA at 3.5%, the mortgage insurance for the Home Ready program will eventually drop off once you reach 80% loan to value of the original purchase price or the appraised value whichever was less at the time you closed escrow on the purchase. You do not have to put 20% down to buy a house today, explore your options with the Fannie Mae HomeReady loan program. Keep more money in your pocket to be able to purchase the home appliances, paint and carpet after you move in. There are alternative loan programs when it comes to buying a house and this program one that you need to explore. The FHA home loan program mortgage insurance does not drop off if you put less than 9.99% down when you buying a home. Only drops off if you put 10% or more down, then the mortgage insurance will drop off after the 11th as long as you meet the loan to value requirement which is 78% of the original purchase price or the appraised value whichever was less. Home Ready also has a refinance option available for those existing homeowners looking to refinance out of the FHA loan and into a Conventional loan program. The benefit is the mortgage insurance will eventually drop off. (mortgage insurance are for loans with 80.01% loan to value or more). No homebuyers course to attend for a refinance application. *Purchase and refinance loan applications must meet Canopy Mortgage and Fannie Mae underwriting guidelines before closing your loan. To speak with me further about the Home Ready loan program to purchase or refinance a home, please call me direct at 909-503-5600 or complete the short inquiry form below to get started right away.  Thank you for your interest in the HomeReady Loan Program, please complete the short inquiry form below to learn more about this new lending program.